Home > Dr Jonathan Brown meets … Jonathan Brown (AFL legend) on the Nova 100 Breakfast show! 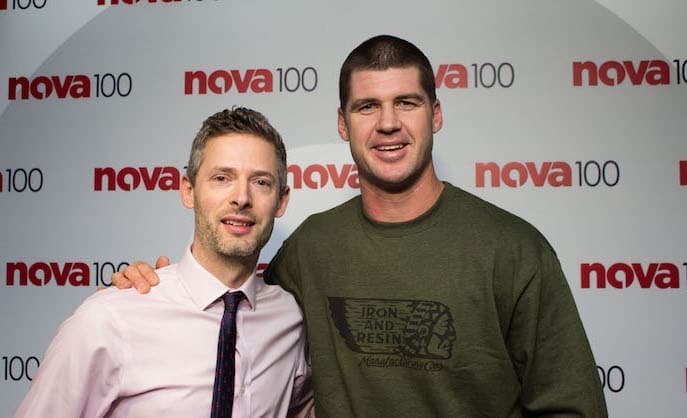 Dr Jonathan Brown meets … Jonathan Brown (AFL legend) on the Nova 100 Breakfast show! Dr Jonathan Brown was on the Nova 100 Breakfast show this morning talking with the team about the new double chin treatment available at Cityskin, anti-wrinkle treatment and why he was glad when AFL Jonathan Brown retired! Listen to the live broadcast below.